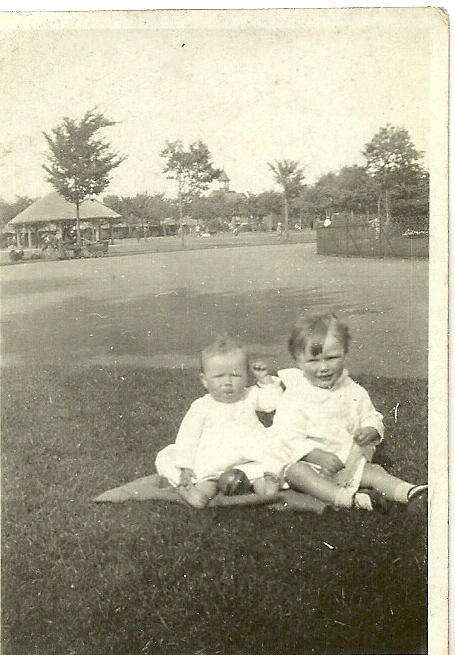 At present we seem unable to locate a traditional baby photograph of Anne, although the one on the right shows her at sitting-up age and below, standing. 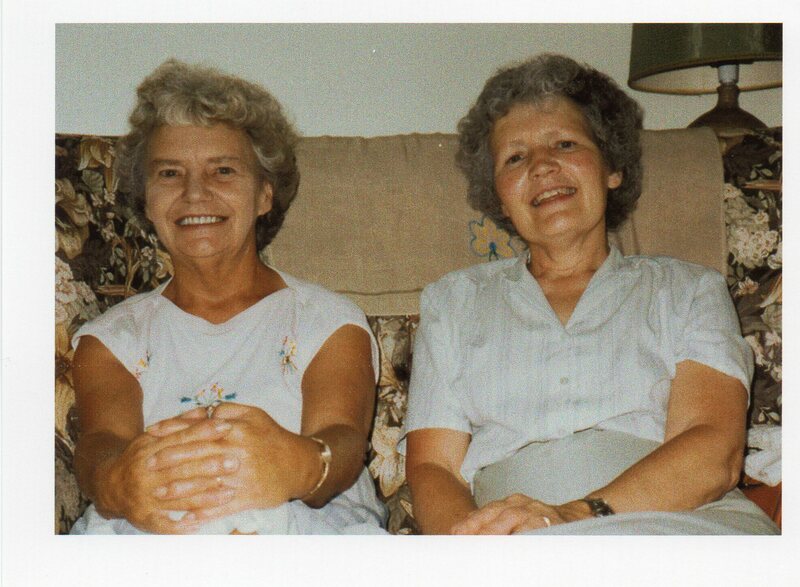 Anne was born at the Naval nursing home in Southsea and lived in Portsmouth for her first few years. Then after the arrival of Kathleen and Tom the family lived for short periods at Cowplain and Denmead before moving to Purbrook, first at Privet Copse Road and then at Stakes Road.. The family lived at this address until Dad left the Navy after the end of the War. Anne started school at the church school in Purbrook, but when the new Council school was built moved there with most of her friends. 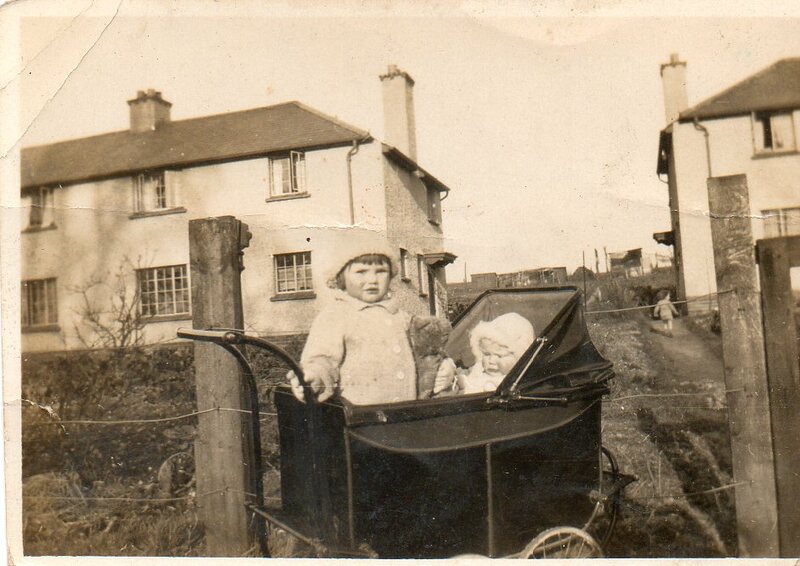 At some stage, probably 1936/7 she was sent to stay with Gran at Cliff End - I think it must have been after Gran’s first stroke - to help Gran, and went to school in Figheldean. Her great friend at this time was Doris Pennels. I don’t know what the two of them got up to, but Anne somehow fell when climbing a tree and broke her collar bone, and was returned to Purbrook. 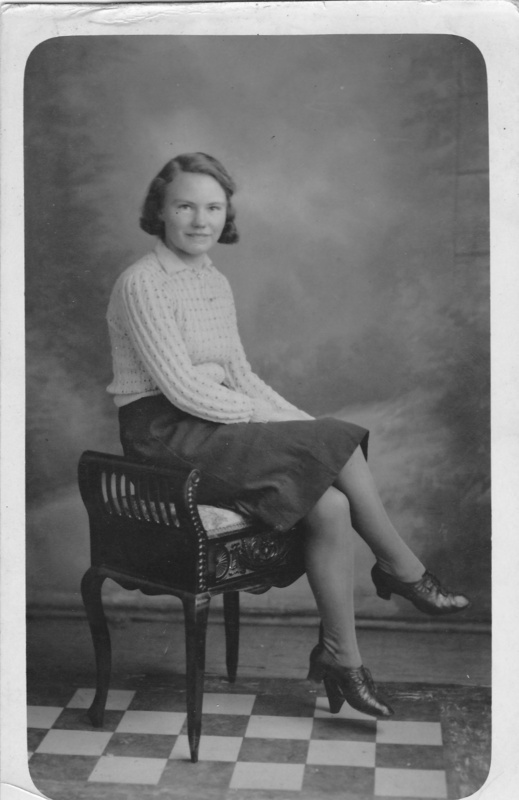 Anne passed what in those days was known as “the scholarship” ( later on as the Eleven Plus) and attended Purbrook Park County High school until leaving school in the summer of 1941. Thereafter she worked in the accounts office of the local gas board, then decided to spread her wings, going first to Tottenham and then to Newhaven. It was there that she met John Townsend who at the time was working on the cross-channel ferries. 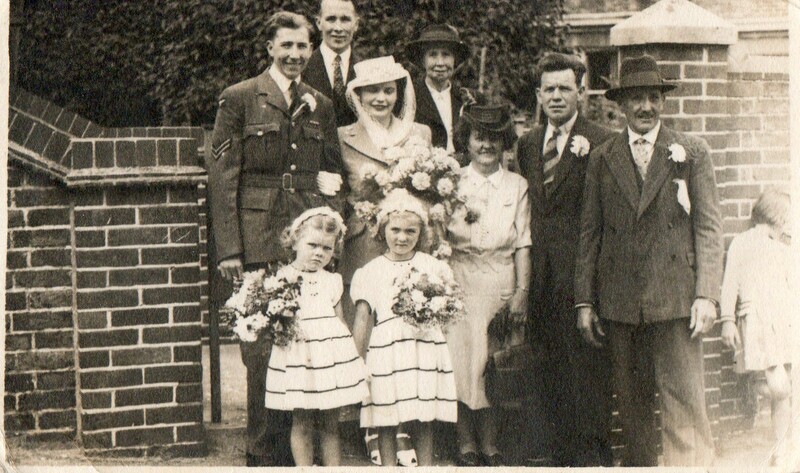 When they married, John re-enlisted in the RAF, and they lived for the next number of years at RAF bases in Wiltshire, Nairobi, The Canal Zone, Marham and Germany before settling in Abingdon. 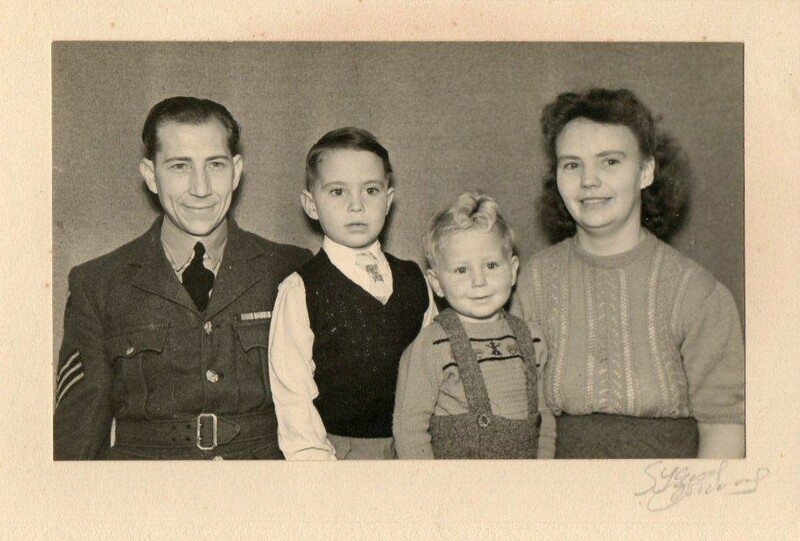 When John finished his RAF service he took work at the nearby atomic research establishment and, their two sons being more independent by this time, Anne started work at the Abbey National Building Society in Oxford, and continued working there until retirement. When John was also retired they bought a bungalow in Caistor so as to be near their grandchildren, and it was there they lived until Anne died in 1992. John died there in 1994. Information supplied by Anne’s sister Kathleen.